Inspiring & amazing book "free spirit"
Couldn&apos;t put in down. It&apos;s a memoir. 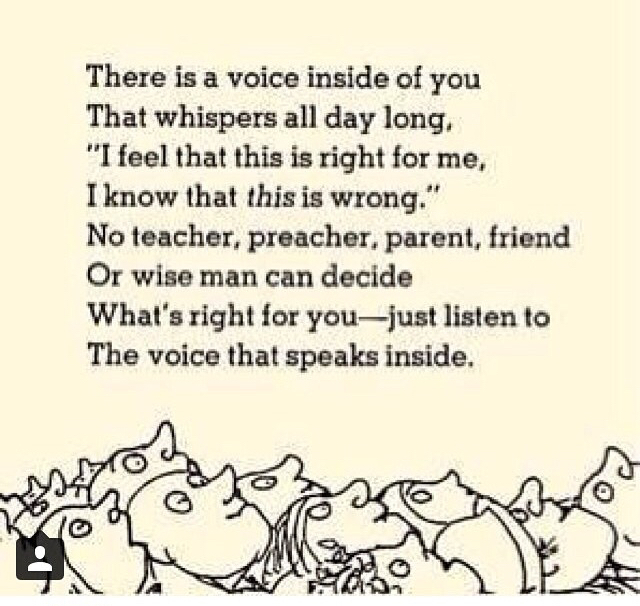 Resonated & impacted & really hit my soul in many layers. You have no idea!! I cried telling hubby about it & he hugged & loved me & said you have such a loving passionate heart & he wiped my tears. Called bro & told him about it & was very passionate in my explaining. Talked about stuff it reminded me of. He quoted a verse I had in my teenage bedroom " stand for something or you will fall for anything. Drove it over to moms ( crying again). " you have to read this now"
Sending emails & texts to all my friends. " get this now"
I&apos;m a book LOVER. Always have been. I&apos;m a speed reader & a student of learning anything & everything. Memoirs written well & truthfully- captivate you. Because it&apos;s your fellow man. It&apos;s you. It&apos;s the neighbor. It&apos;s the grocery clerk. It&apos;s the kid in school with your kid. It becomes personal. When a book moves you & emotionally charges you & gets you alert & revived to your true self, your mission & purpose to serve world & deep gratitude for life & lights a fire burning in you to keep impacting the world with your voice...its a gift. 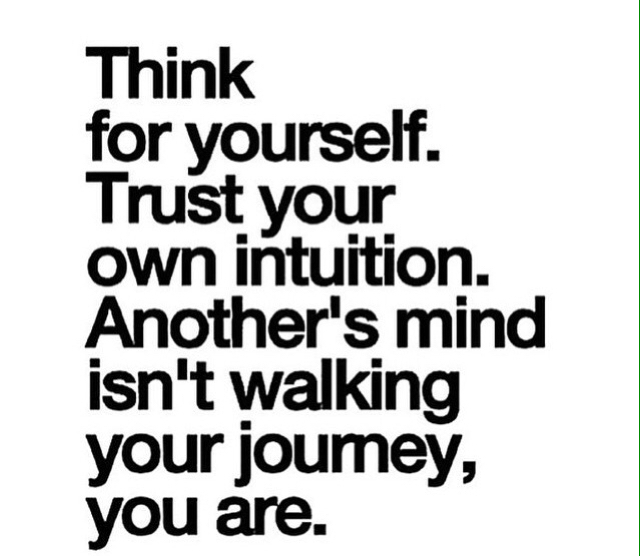 Your truth is the key. Your story is the key. Use it for a greater good. This author is an inspiration. Two other books off the top of my head have done this. I can&apos;t explain it. Maybe season of life I am in. Maybe a soul gift. Maybe divine timing as part of my journey to receive this impact. Maybe touches some layers of my heritage & journey. Maybe just my heart is deeply passionate. Maybe just the humanity & empathy & understanding & love for others that&apos;s part of me...just wow. All our experiences & childhoods & journeys...can serve a higher good & be of service to the world. Choose that. Resilience is a strong & powerful trait to have & the development of it, can be long & winding & testing on every level, but it transforms you. You rise. A Higher power exists. There is one light many lamps. Rock bottom is a common place to experience that Higher Power. You have no idea what anyone walks around living in, on a daily basis- go out of your way to be, give, and spread EXTRA love, kindness, & selflessness. Especially to kids. They don&apos;t choose their parents, environment, schools, life, everything really....if adults wanna be immature or selfish It&apos;s one thing....but a kids innocence & heart & BEING is important & to be protected & respected & loved! Be passionate, deeply & unapologetically, about something & give it a voice & action & help create change. You matter. We all matter. Be loving.Read this book! I love this book the four agreements by Don Miguel Ruiz! One of those books you can read over and over and over! 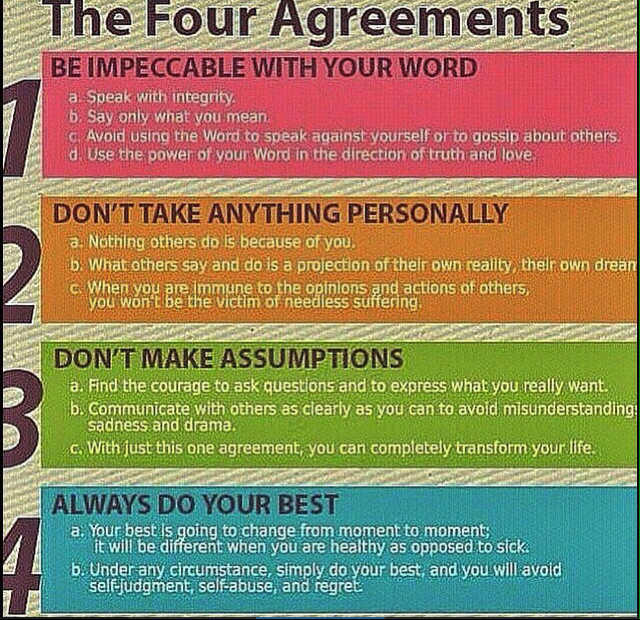 The 4 agreements are summarized above and they&apos;re awesome! and assume nothing :which translates --communicate communicate communicate --to make sure you are not enduring unnecessary suffering!!!! Can&apos;t we all think of examples when we have created unnecessary suffering? Example: someone says to me: "wow I hope one day you get a bigger studio because this is really small. " Solution: me asking out loud to them and communicating "what do you mean exactly by this is so small!?" They might say : you&apos;re so great at what you do, I love coming here you & a big huge space means more people can come! WOW: imagine if I didn&apos;t communicate and I just assumed and made something up in my head & got bent out of shape!!! Unnecessary suffering!!! Boom!! You can apply this to when somebody compliments you in a off beat way or questions you or make statements that don&apos;t click with you or in the workplace or your personal life or in the grocery store! Be a light & be authentic & communicate in a loving way---so if you&apos;re on the receiving end...hearing it, it&apos;s in a loving way, like you would want to hear!